2019 image updates (woman with headphones) via Stencil. I’m a sometimes. Really depends on your office and its culture. I have my own office and never listen to music on headphones because I need to be able to hear my phone – I just don’t think I would hear it with headphones in. I do think wearing headphones inside one’s own office sends a “don’t talk to me” message – whether that message is appropriate just plain depends. And I do think the cube farm culture (esp in tech and finance) makes headphones more appropriate. What about having ONE earbud in? I work for an entertainment studio, so it’s probably less “stodgy” than other office environments, but where I work, it’s fine to have music, no music, even TV on – as long as your work gets done and you’re willing to either (1) drop everything in one second if your boss pops his head in or (2) keep your door closed to indicate that you are doing work that cannot be interrupted. I think headphones are a bad idea, but listening to Pandora or a similar service (or even just docking your ipod) where you can quickly lower the volume or turn it off is fine. I am soooo glad I don’t work in a field where I have to worry about perceptions like this, in my field, youth and fresh thinking is an advantage. I don’t have to pretend to be old and stodgy to get ahead. one more reason never to go to law school, I guess. There is a big difference between being young and “fresh thinking” and wearing headphones. I’m in the creative field, which is one of the looser office environments. But I still expect my employees to be professional and mindful about where they are. They aren’t in the dorm study lounge. They are at work, and I am paying them a lot of money to do their work. I am not paying them to listen to music. This is not “old and stodgy.” It’s being a professional who wants to be taken seriously. Except . . . it’s not everywhere. Plenty of professionals who are taken seriously also listen to music, including senior partners at law firms commenting on this thread. It’s completely fine to set norms at your workplace but assuming that every workplace should follow their norms or the people at it are unprofessional is pretty ridiculous. That said, this is giving me a great new thing to look for at job interviews – are any of the employees listening to music. If not, I know to beware that it’s probably not a culture I’ll love! Conversely, I imagine many of the people on this thread now know to look for the opposite if it drives them crazy. I am addressing a young person who is starting out as an intern and is concerned about making a positive, professional impression. As a hiring manager and supervisor, I would advise that person to worry more about her demeanor, productivity and work ethic, rather than whether or not she can play with her iTunes at work. She will set herself apart from her peers who are sitting there with their earphones on, and make a great impression on the boss. When she becomes the boss, she can do whatever she wants. I answered “other”. It really depends on your job and office culture. I work in a very solitary job where most interaction is over email or skype anyway. So most people listen to music in my office and we officially have an open door policy (meaning, your door must be open unless you are having a “talking” conversation). I think about half the people play music softly and half use headphones. I was a speaker person until I received my noise-canceling headphones. Oh thank goodness! My office is near reception and the meeting rooms so the noise-cancelling really helps. Plus, they are pretty big so people know I am wearing them. My desk faces the door so if someone comes by, I can quickly take them off–no big deal. OTOH, one of my biggest pet peeves is people wearing headphones around the office. I would also add, that headphones are only approporiate if the desk faces the door to the office/cubicle. I do not like to raise my voice or tap someone’s shoulder to get somoeone’s attention. Further, people like receptionists whose job it is to greet people should never wear headphones on the job. Law firm associate (apparently, getting old and cranky) – I find it annoying when people wear ear phones/buds here (there are a few v. junior associates who do it and a few paralegals — all have their own offices). To me it says, I don’t want to hear you. Music on quietly is fine I think. If you have your own office and are distracted by outside people when you’re in serious work mode, close the door. Sometimes I listen to ipod with earbuds just laying on my desk and volume turned high enough to hear but not in in hall. It’s easy to switch off without switching screens on computer and I can still hear if in the mood. In a shared workspace, I’m invisioning a workplace more casual than I can fathom so who knows what would go. See my comment above. Noise-cancelling headphones are worth every penny. Just make sure you can see your doorway from your desk so you can still be responsive to other people. I spend a lot of time with my door mostly closed, i.e., about 6-8 inches ajar. I think in a more formal office it is inappropriate, but it’s a definite benefit if you have arranged a work-from-home agreement, even on a part time basis. That being said, I feel like you could potentially listen to classical music out loud in your office, depending on the culture of the office. Another vote against playing the music low. My next door office mate plays classical music quietly in her office all day. I like classical music a lot, but not when I’m working. And I would never say anything to her about it (it’s annoying, but not annoying enough to risk damaging a relationship with a co-worker), so she probably thinks it’s just hunky dory and that no one is bothered. Go with the headphones if your work must have a soundtrack. Exactly! A partner plays music ‘quietly’ in his office and I can hear every note, but I’m support staff and don’t feel comfortable saying anything about it. Believe me, you may be annoying someone greatly with your music and they’re just being polite about it. I think those of us in favor of quiet music mean really quiet, like only you can hear it. If others can hear it, it’s too loud. Right, but I think the above point is that those people probably think they can’t be heard as well! But with thin walls and differing hearing levels…you really can’t be sure. I’m a mid-level assoicate at a law firm. Headphones are a huuuuuuuuuge no, no, no!!! (Even for summer interns). You must be kidding if you think time at the office is for goofing off and listening to music. If you have your own office and can do so without disturbing your neighbors, go ahead and listen to your tunes on your computer. But DO NOT tune out your co-workers by plugging in the headphones and going into your own little world. You are there to work for others. And if they need you, you snap to. Besides, you are there to learn. You never know what valuable bit of info you might otherwise miss if you are rockin out in your head. I’ve never seen anyone over 25 do this; I just don’t think it conveys the right image. If I felt the need to do it myself, I think I would get a very discreet set of earbuds that no one could see unless they suddenly walked in. My suggestions are to: (1) Nix headphones. They, to me, look worse than they actually are. 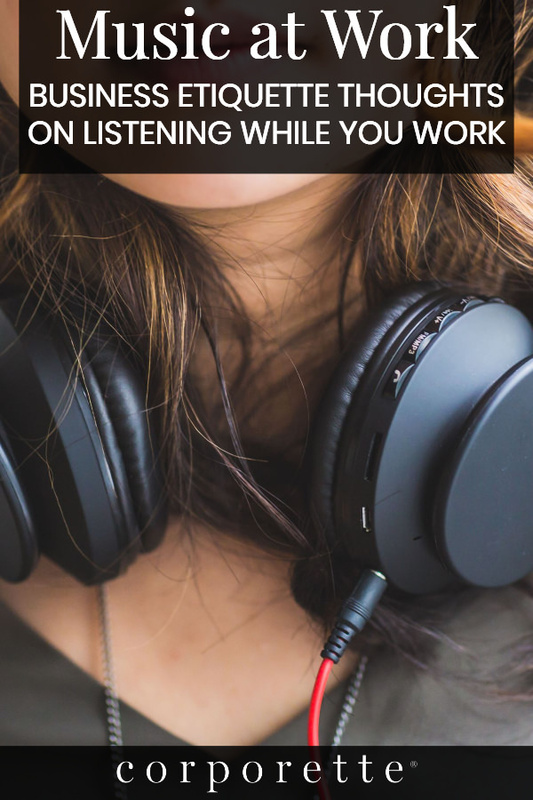 I see headphones, I see someone who is zoned into their music and trying to drown out everything else… which is not good if your boss thinks you are drowning them, the phone, or anyone else out. 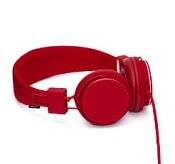 Just listen to an ipod or pandora or the like without headphones, but… (2) Keep the volume down. You have your own office, so this shouldn’t be an issue. I have my own office now, and I work with my door open (to a library, no less) but it only needs to be loud enough for me to hear. And what’s loud enough for me sitting at my desk is barely audible from in front of my desk, let alone outside the door. What I always do is kill the sound whenever someone comes in or calls on the phone, as a sign of respect. I’m interested in what they have to say, and they aren’t feeling like they interrupted my glee jam session. Subtlety is key! I work in a very conservative and establish firm and one earbud is usually fine. You definitely want to avoid things like huge and/or brightly colored headphone that will make it obvious that you are listening to music. But again, this is at a very old school firm, so many other office may be more lax. I agree that it would be best to see what the people around you are doing. Great topic- we had a music situation get out of control at my office. Someone was listening to music in a cubicle that somehow vents right into the adjacent office. Even though you can’t really hear it outside her cubicle, you can apparently hear it quite well in the office. For some strange reason the solution wasn’t to wear an earbud (as is the norm in most cubicles), but to move the speakers. It was really perplexing for me and the person in the office, who is now forced to wear earplugs so she doesn’t have to listen to someone else’s music. I actually listen to music many days with earphones. And do you know why? Because my work environment is so loud that it disturbs me and I just can’t read/write like that. For me, music is the better choice. We all have cubicles crammed right next to each other and ever since some other department moved right across the hallway from me (2 girls working in marketing, chatting all day) I need these earphones to save my productivity. It is really annoying esp. because those two women talk to each other over the cubicles all day!!! (while my department goes to one another to talk quietly, we only ‘yell’ across maybe once or twice a day) I always feel kind of relieved whenever they are traveling or at events. Before law school, I worked at a job where I had to listen to recorded interviews about 25% of the time, as did everyone else around me, so headphones were normal and accepted, whether you were listening to an interview or music. As a law student/intern I would never listen to music at work, but that is in part because I find it distracting. 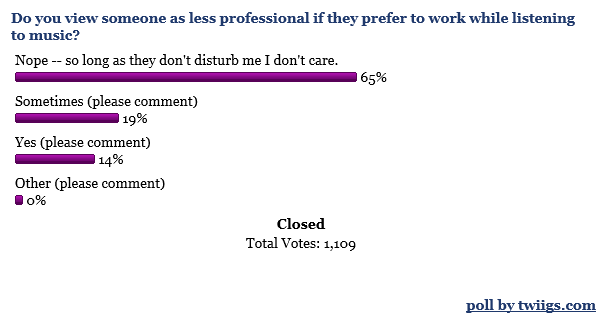 I do think less of people who listen on headphones at the office. To me it gives off the vibe that they are disengaged. However, I don’t have a problem at all with coworkers who listen to music quietly, sans headphones, and do so myself when I need to drown out some of the buzz around the office and focus. The two office employees we have had who listen to music while they work made lots of mistakes; they were secretaries/assistants, not professionals, but it bugged me that I was getting materials back with mistakes not corrected on Draft 3. Maybe the music did not distract them, but this experience makes me dislike headphones at work. I want employees who focus on work, not music. Now, maybe if the employees did great work, I would then think that the music helped them, but that is not my experience. This is an easy answer in my view. No, you should not listen to music during your internship, period. Aren’t you there to WORK and make a good impression? Sorry, the “it helps me concentrate” thing just doesn’t leave that impression. Different for all the lady stories above who already have jobs and know their culture. Just being brutally honest here to help you- frankly even asking this question makes you sound like the generation just coming out of school who text all the time while in the middle of a conversation, want to define everything on their own terms, etc. that annoy people who have worked hard for years to get where they are. If you have ample options to choose from, do whatever you want… but if you are in the ranks of those job searching in this market, it’s obvious- no headphones or playing music during an internship. Work hard, and spend any extra time/exposure learning from the people around you. If I had an intern who did this (I am 34, in a mid-level position) I would not hire them unless there were huge other reasons to do so. This just wouldn’t send the right signals to me about how seriously they would take the job. Again- different if you work there and have a comfort level with people. Not for an intern. I agree, it’s one thing for an established staff member to wear headphones or listen to music out loud but an intern should really spend a lot of his/her time soaking in the office culture/atmosphere. this would be totally weird in my London office. Music is fine at night or on weekends. If you don’t want to be disturbed, you just close the door and answer accurately when someone asks if you can spare a minute to chat, or politely indicate that you are in the middle of something. i can imagine ear plugs being OK if there is a noisy distraction, but I think music/headphones are seen as unprofessional unless you are, say, listening to a live broadcast of the budget or something relevant. I am early 30s for info. I regularly wear earbuds, and I have never owned a pair that has tuned out noise so much that I can’t hear when people are speaking to me. I alternate between the white ones I got for free with my iPod and another (similar-looking) pair that I bought from BestBuy for $10. I don’t blast my music, but I don’t listen to it super-quiet, either, and I can hear basically everything going on around me. Of course, when someone walks up to speak to me, I immediately take them out as a sign of respect, but I could, theoretically, have a normal conversation with that person if I kept them on. I’d like to comment on the larger picture here…. avoid the key reason that we work in an office, which is that we work with other people. I think it was Penelope who recently wrote about the fact that to get ahead, it rarely matters how well you do your job (beyond a certain minimum), it matters how well you get along with your superiors. While this may be overly provacative, she has a point – all of that schmoozing that people do at the office is going to get them further than turning out a perfect brief…as long as the brief is decent. Maybe the goal of the person I quoted isn’t to make partner, and if so, that’s fine. But if she does want to make partner, being viewed as unprofessional by senior partners isn’t going to get her very far. And honestly, I wouldn’t be GC if all I could do was write a really really good memo. I might get flamed for this but it concerns me that so many women don’t seem to grasp this basic point. I made the original comment and, for my workplace, I stand by it. I think everyone there – and as I said in that comment, it’s place with a very, very high tolerance for eccentricity — would prefer that the work is done better with headphones than worse without. And I did not say “unprofessional;” I said “weird,” which again, in my workplace, not BigLaw, is a totally different thing. However, honestly, I think this is where office culture comes in. I’m not disputing that how you come off is key everywhere. But in some places, looking like you’re constantly available is key, while in others looking like you’re really focused, really into it, and really banging out work is more important. And the fact is, I do get along well with my superiors. And part of the reason for that is that they view me, correctly, as dedicated to turning out high quality work. Of course, I also face the door, smile and talk to people as they walk by, and instantly take out my ear buds the second someone looks like they’re coming into my office. As people keep saying, know your workplace (and please don’t make assumptions about mine and how people must view me as unprofessional because I listen to music while I work). I checked “Sometimes” because of one particular person in my office who doesn’t turn off her radio when I come in to her office to talk to her. If it were just music it wouldn’t be as bad, but we’ll be in the middle of discussing an important work-related topic and a commercial will come on. It’s really distracting because it’s like a second conversation in a small office. I don’t care what you do when you’re in your office alone, but if you’re one of the many commenters who listens on speakers, please please please remember to mute it when someone comes in to talk to you! I have a question for those of you that think it’s unacceptable. It’s not really related to the original question, because I think that because she has her own office, she can probably use speakers. How would you deal with a distracting work environment, especially one in a cubicle, or where closing the door is not an option? I initially posted here that I don’t think headphones are a problem, but after reading all of these responses, I’m worried I may be sending the wrong message to co-workers and supervisors. However, there is certain work that I can’t do well or efficiently if I don’t have a way of tuning out various conversations going on in my office. Moving my desk isn’t really an option, and even if it were, the layout of our office means that I would probably have the same problem anywhere else. I will add that I have my desk set up in a way that I can see people coming, so I always take off my headphones as soon as someone approaches the desk. I would look around your office and if other people wear headphones, it’s OK.
Like you, if I glimpse someone headed to my door, I take off my headphones. It’s resulted in a few awkward moments where they were actually headed somewhere else but I think it sends a message that I am available. We do alot of writing so it’s part of our culture that you wait a few seconds before talking anyway to allow the person to finish his/her thought when you enter their office. Also, our intern office is unfortunately located in a corner where the interns can hear the neighbors’ “intimate” activities through the ductwork (other firm so our HR has no control). We’ve actually joked about getting our interns headphones or loud music. So I understand our interns having headphones on in the afternoon at, oh, around 3:30. I am a 39-year-old supervisor, and the younger people in my department listen to music on their headphones. Sometimes I need to walk into the cubicles and tell everyone something at once. I find it more than annoying to have to walk around and get each person to take their headphones off before I start speaking. Also, it is definitely distracting from their work. We don’t have a policy, so I can’t do anything about it. But I would advise anyone to test the waters carefully. In my opinion, you should restrict music to lunch and late in the day, like 4 p.m. or so. I’m sorry but I had a supervisor who liked to shout out to the “cubes” and it was the worst interuption ever. Why not send out an email or skype to your group saying that you are making an announcement in 2 minutes? It allows people to finish their thoughts and it relieves you of having to do “headphone duty” for those two minutes. Because I am the boss. Not their mother, sister, friend or counselor. My boss certainly does not worry about “interrupting me” or giving me time to “collect my thoughts” before he tells me to come to his office. That’s not realistic. There are many bad supervisors out there who yell and are rude. We all have to adjust to accommodate the quirks of our bosses. But this is more about the employee’s behavior and sense of professionalism. We are at work. We should act like it. I fully agree with the poster above who makes the point that some people seem to not grasp how crucial non-work product workplace relations are. It’s all about the interpersonal impressions at the higher level. I don’t know that gender has much to do with it or age or what. Of course, I understand the exceptions, from posters who say music is the norm or fine at their workplaces. Actually my company featured this in last year’s ethics training video. They role-played a young IT guy with headphones, always multi-tasking (working/facebooking) and texting, not getting along well with an older female employee who was frustrated by his behavior and reported it. It turned out that he got his work done fine most of the time, but made others feel bad like he was just showing up and hanging out while they worked. He got counselled about how to fit into the workplace. The video was more making the point about inter-generational understanding, but I identified more with the frustrated woman while watching. I think it’s odd to assume that people who are listening to music aren’t relating to people in their workplace. Of course, if you work in an open office plan or a job where you’re constantly interacting, that’s one thing. But a lot of jobs have built in time where you will be working solitarily and where, if you’re not, you are failing to fulfill your basic workplace duties. 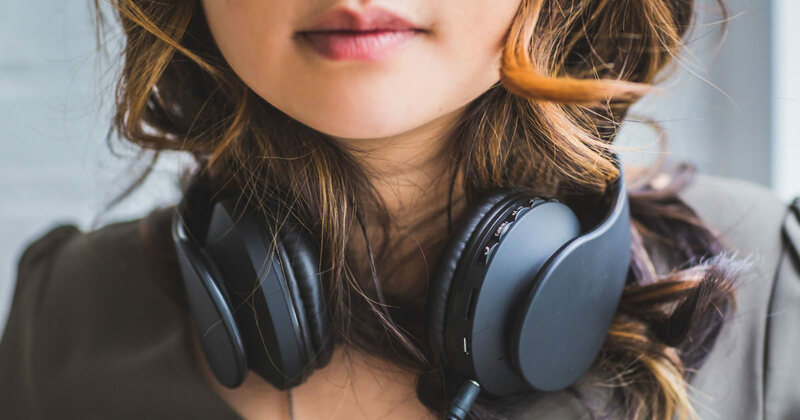 Listening to music during that time – while still making a point of interacting appropriately with your colleagues at other times – really has nothing to do (or may have nothing to do; certainly, office culture varies) with whether you’re good at the interaction part of your job. I mean, yes, if you’re spending your time ignoring people because you’re listening to music or texting or facebooking or anything, that’s a problem. But the problem is ignoring people, not necessarily listening to music. Our office is very quiet and I like that, personally – easier to focus that way. Also, the lawyers at my office don’t type – we record everything and the secretaries do the typing – so music doesn’t really work so well for that. The secretaries have music playing on speakers sometimes, so does boss, but never so much as for it to be “enjoyed” by people in other rooms. I use headphones (small ones, not the big ones). No, no, no, no, absolutely no to the headphones. I know some associates who bring in an iPod docking station and listen to classical during business hours. That seems to be acceptable; I don’t think other types of music would be. On the other hand, I have an iPod docking station in my office that I use to listen to whatever I want (including Pandora’s Ludacris station) when I’m here late or on the weekends, and I know I won’t disturb anyone else. That is considered acceptable at my office. I would be utterly appalled to find a summer associate or intern with headphones on, jamming out to music. Please, let’s stop with the cries of “Unprofessional!” I am a productive, well-socialized, responsive professional who does, in fact, listen to music–while working–with headphones! I am not “jamming out,” I am not ignoring my boss, I am not disengaged from my coworkers. If I were doing any of those things, my boss certainly wouldn’t blame it on my music or my headphones. You can take away your intern’s music, but you won’t necessarily make her a better worker by doing so. Any body that has a problem with this is close minded and back in the stone age. Some people need to hear music to get creative juices flowing. Everyone is inspired differently, life is way to short to worry about these insignificant “issues.” If you have the time to even think this is annoying you need to find more work, or something better to do with your time. But there are the situations were you work in a big open plan office and not everybody likes the same music, so you have to consider your co-workers aswell, also when you do listen to your music you prefer, do not hummmm along, since other people then cannot concentrate on doing there job, but earphones is better in a big office space were lots of people are together and don’t have there own offices.